Dr. Edward I Cole, Jr.
Edward I Cole, Jr. received a Ph.D. (1987) in physics from the University of North Carolina at Chapel Hill. His doctoral work involved the development and fundamental understanding of non-destructive, low energy electron beam techniques to analyze integrated circuits. He joined the Failure Analysis Department of Sandia National Laboratories in 1987. His research interests are in the development and improvement of non-destructive IC failure analysis tools, with emphasis on electron and optical beam techniques and he has published frequently in the field of failure analysis. Two of the failure analysis techniques developed by teams Dr. Cole led, Charge-Induced Voltage Alteration (’95) and Light-Induced Voltage Alteration (’98), have won R&D 100 awards. In 1995 Dr. Cole was named a Distinguished Member of the Technical Staff at Sandia National Laboratories. In 2004 Dr. Cole was appointed to the position of Sandia Senior Scientist. He has served on the executive and management committees of the ISTFA and IRPS conferences, chairing the ISTFA’96 event. 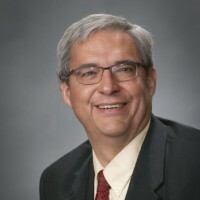 He has served on the Electronic Device Failure Analysis Society (EDFAS) Board of Directors from 1998-2004 and was EDFAS President from 2000-2002. He is presently immediate past-editor of the EDFAS Society’s magazine was General Chair of the IRPS’07, and serves on the IRPS Board of Directors and ASM Volunteerism committee. In 2013 he was appointed a Sandia Fellow and a Fellow of ASM International.